One of the many retailer exclusives announced for Black Series Star Wars The Last Jedi was the Guardians of Evil 4 pack. This shows the evolution of the Royal Guards through the different eras. 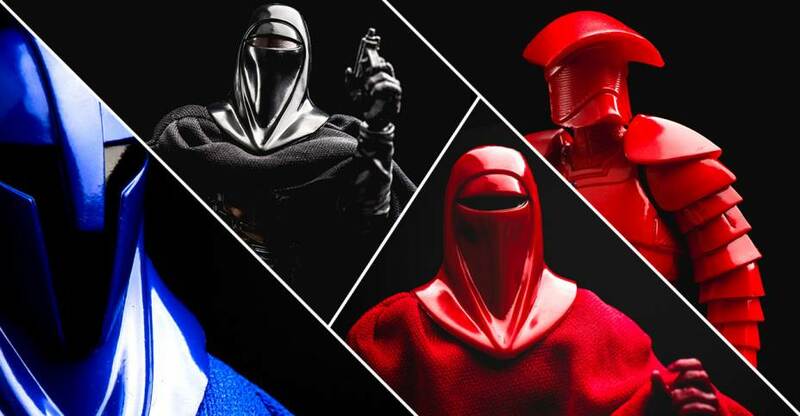 It includes the Senate Guard in blue from the Prequels, the Imperial Royal Guard in red from the OT, the Emperor’s Shadow Guard in black from Legends, and finally the Elite Praetorian Guard in red from The Last Jedi. All 4 come window boxed in the current black and red packaging style. It’s exclusive to Gamestop in the US. We have our copy in hand and have done up a set showing them off. Read on to check out 75 HD images!